We had a good turnout last week for the information session on the public policy strategic initiative. Aimee Wall led this effort during the planning process, but unfortunately she had pneumonia and could not attend. I did my best to provide background information about the initiative. We have decided to do more as a School in helping decision-makers work on public policy issues, and the next step is for an implementation committee to determine how we will do it. 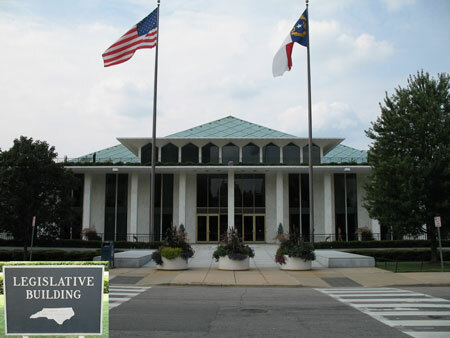 The committee will focus on policymakers in Raleigh, especially the legislature, and it will begin by consulting with legislators, legislative staff, and other stakeholders. We will use their feedback to evaluate The Daily Bulletin and to learn more about their specific needs and how we might meet them. The committee will develop a detailed implementation plan—what will we do, how will we do it, and what resources will be needed. I will ask the committee to make a recommendation about the future of the Legislative Reporting Service—whether it should be modified, transformed, or eliminated. That decision needs to be based on feedback from stakeholders about its value and whether our efforts could be more effectively shifted to other areas. [Because of timing issues related to the LRS, it is highly unlikely that any change could be made until after the upcoming legislative session.] This public policy initiative will emphasize doing a better job of coordinating and connecting School expertise to public policy decision-makers, which will be an expansion of what we already do for the General Assembly. We are not asking anyone to develop expertise in public policy analysis. Our work may include legal work and different aspects of public administration. There was some conversation at the meeting about helping legislators and others anticipate emerging issues that will be confronting the General Assembly, which is something that the legislative staff has done occasionally. 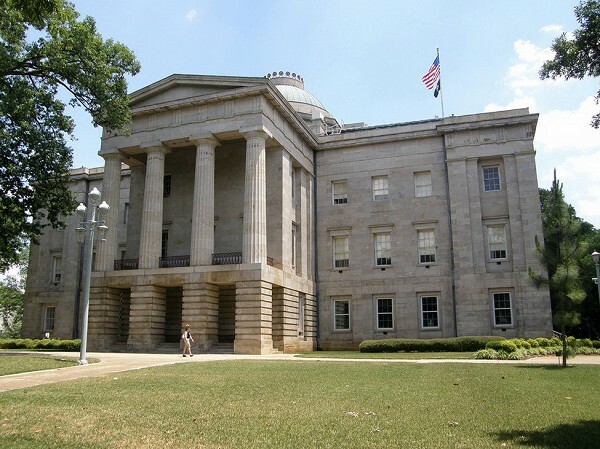 A longer term and secondary goal is connecting others at Carolina with policy decision-makers. There were a number of questions during the meeting about how our work will relate to the legislative staff. What will make our work distinctive? We typically have more in-depth and focused expertise than members of the legislative staff who must cover multiple subject-matter areas. We also have day-to-day contact with people in the field who are administering laws and policies, which allows us to offer practical guidance about how to accomplish policy objectives. Our folks may be able to serve as neutral conveners in policy sessions with different stakeholders because our faculty and staff are much more likely to be viewed as neutral and objective. One reason for asking about our relationship to the legislative staff was to encourage the implementation committee to think carefully about where the School will add value to the policy process. What are we uniquely situated to do? What requests should we decline either because we can’t do them, or because others can do them as well or better. There was an interesting discussion about who will make decisions about our involvement in the policy process and whether the legislative staff will want to act as gatekeepers. It needs to be clear from the outset that the School will preserve our independence to decide the work that we will do—we may work directly with legislators and others, as well as through the legislative staff. It may help on this issue to create an advisory committee that includes legislators. The implementation committee needs to be sensitive to the interests of the legislative staff and develop some criteria for choosing our work, but the criteria probably need to be loose so that we have flexibility in responding. There also was a good discussion about the appropriate time-frame for helping decision-makers on policy issues, including the implications of that timing for how we staff this work. How do we help with important, longer-term research and not be limited only to issues of the moment? How do we develop the internal capacity to respond quickly? Legislative expectations for responsiveness are notoriously difficult to meet, and some observed that it will be hard even for the School to be responsive by relying exclusively on a faculty model. We may need to invest in EPA professionals and others who can respond quickly under faculty supervision—which is something we have experience with in program evaluation, environmental finance, and other areas. Not surprisingly, we talked about whether we must stop doing some existing work in order to create more time for work with policy decision-makers. It is hard to give a meaningful answer in the abstract. We will need someone to take the lead on managing our work in this area, and a couple of faculty members already have indicated that they are willing to reallocate significant time from their current fields of work. Part of the committee’s charge will be to determine the other kinds of positions that will be needed to move this initiative forward. Once we know what is required, I will work to figure out the resources—which may be a combination of fee-for-service, the reallocation of existing positions, grants, and the allocation of new positions. I want the committee to put together a basic business plan, but I recognize that ultimately I am the one who must make decisions about the allocation or reallocation of resources. That is something I will do in consultation with the Dean’s Advisory Committee. Making this initiative a strategic priority for the School has consequences for all of us. We have talked about collective responsibility in other contexts, and I think it applies here. If there is an opportunity to make a difference by working with the legislature on a major policy issue in your field, I believe that you should respond positively if at all possible. There may be times that you will need to decline because of other commitments and priorities. Is this really a change? I assume that we would have responded in those ways before this initiative, and making it a priority just clarifies that we should help if possible. Making this initiative a strategic priority also means that it will be in a position to receive new resources whenever they become available, whether for new faculty positions or new professional staff positions. The decision to proceed with this initiative has answered the big question about whether to increase our impact by concentrating more on helping decision-makers with policy issues. At the same time, however, it has raised many questions about the most effective way to expand our work in this area. Thanks to all of the brown-bag participants for identifying so many important issues, and I look forward to appointing an implementation committee that can begin working on them. Please feel free to comment if you attended the session and would like to add something—I also hope that you will share your ideas if you weren’t able to attend the lunch meeting. I was searching for Blogs about Public Policy Information Session « Mike’s Blog and found this site. I am interested in your content and I appreciate sites like this.